non-surgical treatments exclusively of the nose and face region. Reputation built by the pursuit of excellence! Our patients as just that – patients. Not clients or procedures. Providing a premium bespoke service with attention to the finest detail. Word of mouth – our patients’ satisfaction is the key to our success. 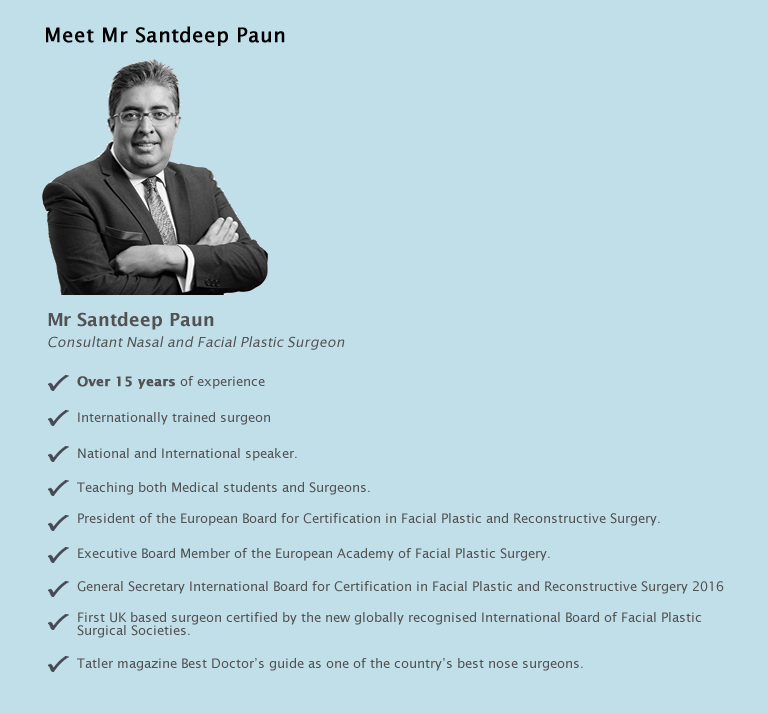 Mr Santdeep Paun, Consultant Nasal and Facial Plastic Surgeon is the Medical Director of Symmetry Clinic. In the NHS, he works at and was the former Head of Department at St Bartholomew’s and the Royal London Hospitals, one of the biggest and well respected teaching hospital trusts in the UK. He performs complex cases there and, by reputation, am referred patients from other surgeons from within the region and other parts of thee country. 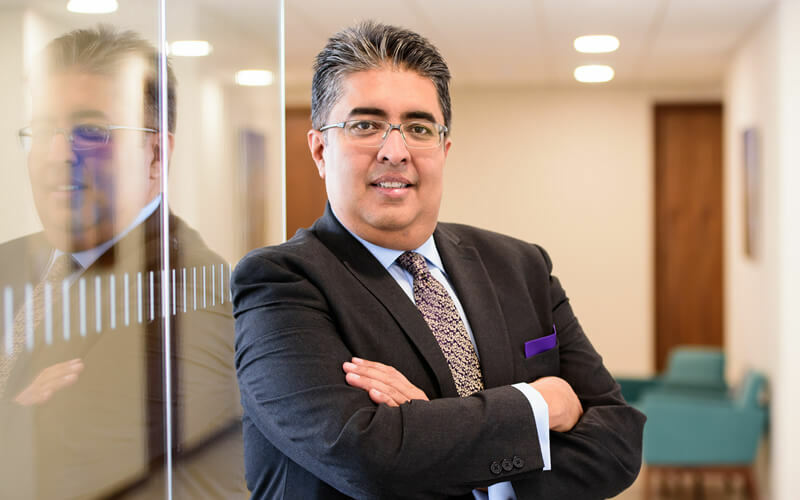 He is an honorary Lecturer at Queen Mary’s University, where he teaches students and is involved in clinical research with colleagues particularly In the areas of rhinoplasty and aesthetic reconstruction following facial trauma. 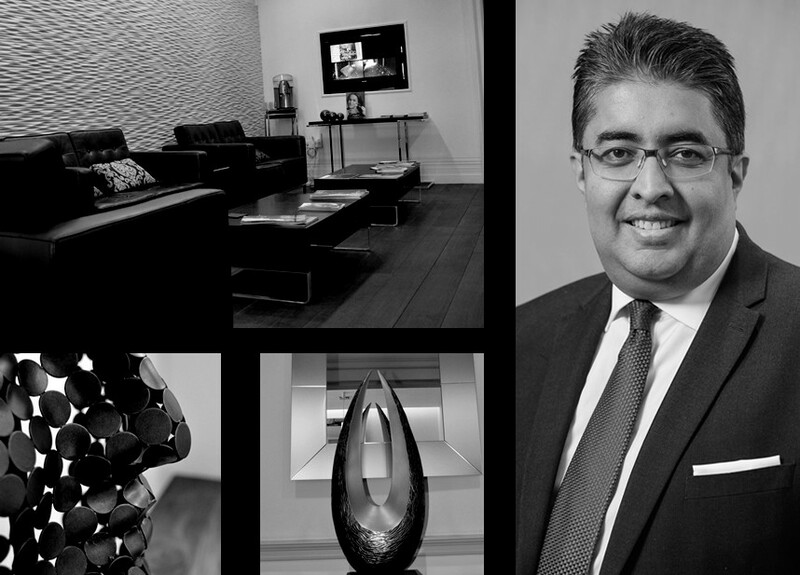 Mr Paun has featured in Tatler magazine’s guide to cosmetic surgery and in their Best Doctor’s guide as one of the country’s best nose surgeons. Absolutely thrilled with the results of Mr Paun’s work on my new nose. He is a young, on the ball, expert in his field and I didn’t once feel nervous before or after the surgery. His team and assistant Mo, were so friendly and helpful. I can highly recommend him as a surgeon. Just wanted to say a massive thank you for my nose! The fact that I am still so bunged up but can feel air going into both nostrils is life changing. As for the shape of my nose, I came to you so unsure of what I wanted. I almost wanted the impossible...'make me look a little better but not so much as to look different'. What an impossible task..even I didn't know what I wanted. My experience with Dr Paun and his team was a very positive one. From diagnosis through treatment and aftercare I was taken care of extremely well. Dr Paun's team worked hard to find appointments at times that suited me and I was very impressed with the speed and efficiency of the process. I was very confident in Dr Paun's hands for the treatment and surgery itself and found him very helpful, reassuring and professional. Overall, I recovered quickly and would certainly recommend him and his team. 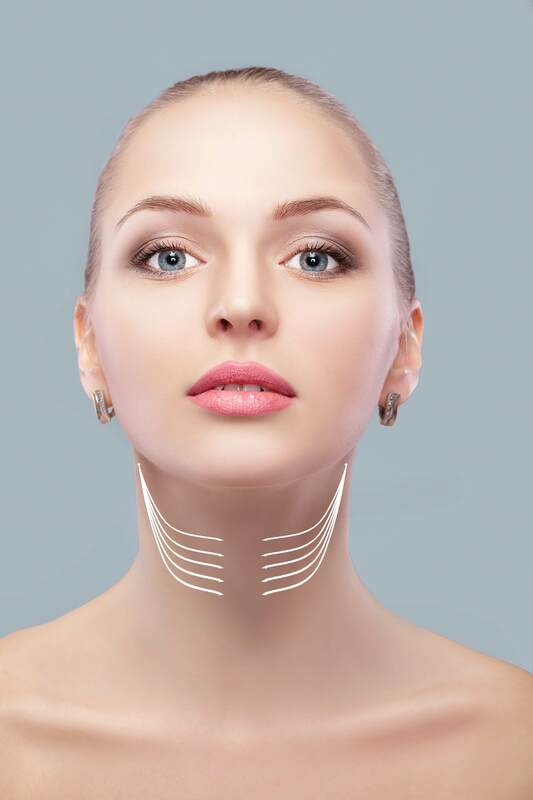 If you’ve always worn your hair long because you’ve felt self-conscious about your ears, then one of the best things about otoplasty will be the freedom to change your style. However, for the first few days after your surgery in London, you’ll have to hold off on the hair styling.